The 10th generation of Honda Civic has been revealed recently, and it is definitely a sight-worth-seeing. Without any objection, this Civic Hatchback is a compact come back for Honda with some impressive features aimed for some sporty, stylish and practical people. 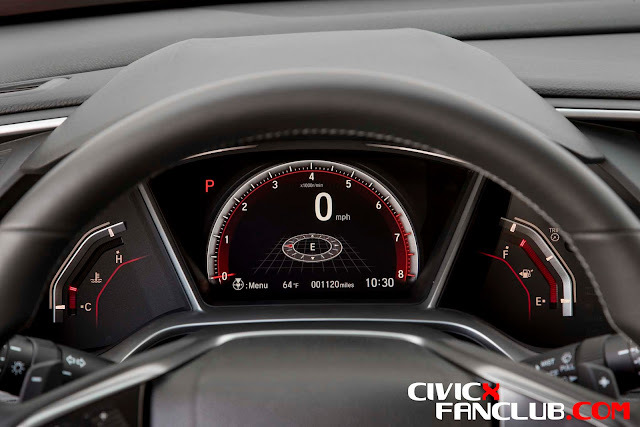 However, according to Honda, this edition of Civic is not going to be runway hit, but opposing to the claims of Honda, we think that it is going to be a star. Honda is already on the track to sell 3 Lac pieces by the end of the year. With this new hatchback, Honda hopes to distinguish its features with roomy cargo capacity, spunky driving dynamics, jaw-dropping looks and a killer value proposition. If you are dying to check this generation from Honda Civic, you are at the right place. We have saved some pretty pictures of its interior just for you! Sit back and fasten your seatbelts, as this ride is definitely going to be super- exciting. Since 20015, Honda hasn’t sold its Civic and within these 12 years, the company has flourished a lot and managed to develop amazingly great Hatchback that does shares a platform, powertrain, technology with its sedan and coupe counterparts. However, the redesign is great, offering unique Sports trim, amazing wheel designs, enhanced engine output and aggressive design cues. With the amazing features mentioned earlier, we think that Honda has underestimated this year’s Civic hatchback. 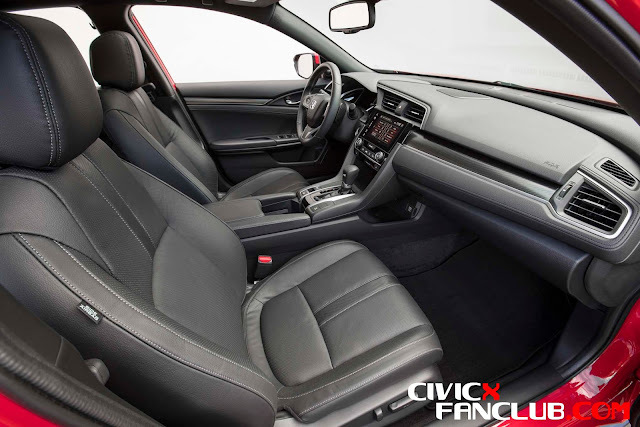 No matter what, this is our favorite civic and would be yours too after checking its alluring Interior pictures. 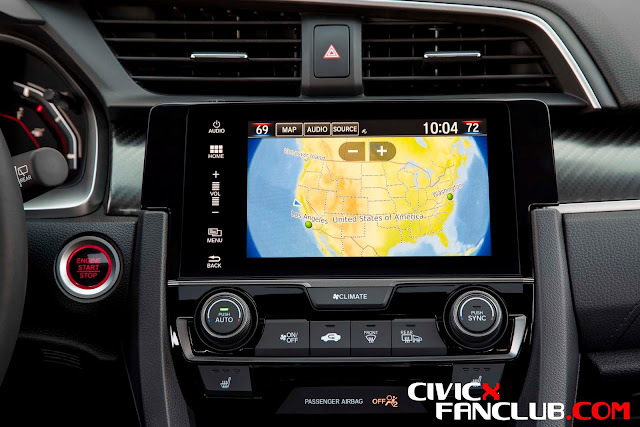 The interior of the hatchback especially the creative layering of its dashboard panels and eye-catching trim pieces are essentially the similar to the Civic sedan when it comes to look and feel. However, there’s something really great about its finish. The roomy interior with the sloping roofline suggests that there is an enough cargo volume and a capacity of five adult passengers. The rear passenger legroom and headroom is plenty for six-footers. A Second generation infotainment system is also offered in this hatchback that offers great color scheme and functions at the same time. You can connect your smartphone to the system via Bluetooth to access your contacts or messages. Or also, you can surf the internet using the Wi-Fi or mobile hotspot. There is also an option of listening to your favorite music, radio or playlists from your phone or from the built-in car system. Moreover, the multi-angle rearview camera of the hatchback offers high-level safety allowing you to view from three different angles; normal, top-down and wide. The Honda’s Civic 10th gen offers a single level display in its instrument panel offering convenience to read so that the driver can spend more time watching the scenery fly by. The comfort is the top priority of this hatchback from Honda Civic and offers leather trimmed seating, leather-trimmed steering wheel, and shift knob. The cockpit is also designed for the hands on driving experience. 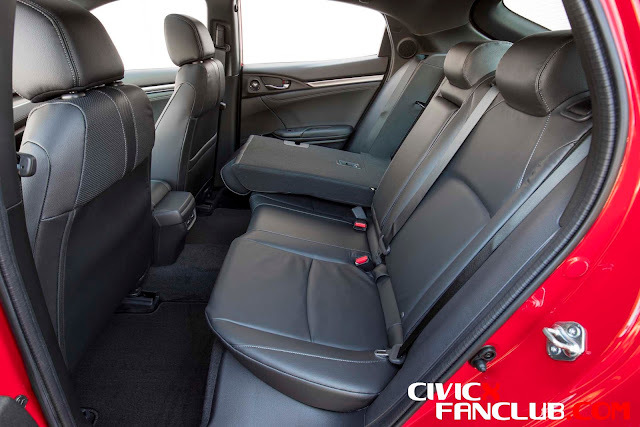 The seats of this Civic are awesome and we love front chair lowering in this hatchback to accommodate the taller drivers, keeping their comfort and support in view. 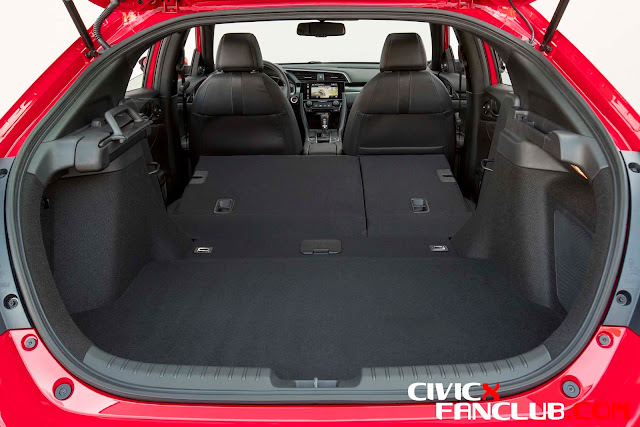 This hatchback offers a great hatch opening and 60/40 Split Fold-Down rear seats allowing multiple configurations so that you can room it up to store all that you have. 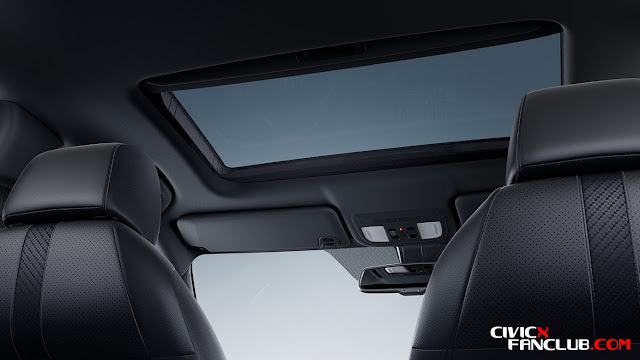 The One-Touch Power Moonroof offers the better glimpse of overhead scenery and a breeze of fresh air with a single touch. The hatchback offers the ideal climate control system to make everyone happier in the car. The Dual-Zone climate control system can make it hot or cold and comfortable. Practical and modern in appearance, the Honda Civic 10th generation’s interior is great and roomy and offers sufficient comfort that you all want.